When we talk about the future and all it entails, one big elephant in the middle of it all is data, luckily it’s not a hard thing to find these days. We are all core contributors to the big warehouse of data. At ParallelScore, we love DATA, we love to gather it, share it and more importantly analyze it. It’s at the center of our user experience explorations. This month, as part of our ongoing POC (Proof Of Concept) exercise and client collaboration, I was tasked to build a complete pipeline for data journey, from ingestion to several analysis and then visualization. My focus will be to analyze a stream of tweets from twitter and get the sentiments using some machine learning. Some of the tools listed below for this POC can be installed in different ways, via manual downloads or via homebrew for Mac Os users, or apt-get for linux users, i will be focusing on Mac Os X installations. Make sure you have java 8 installed, download from Oracle website , to check run java -version in terminal. Take a coffee break, after all you can’t work and not play. Treat yourself, you’re almost there. 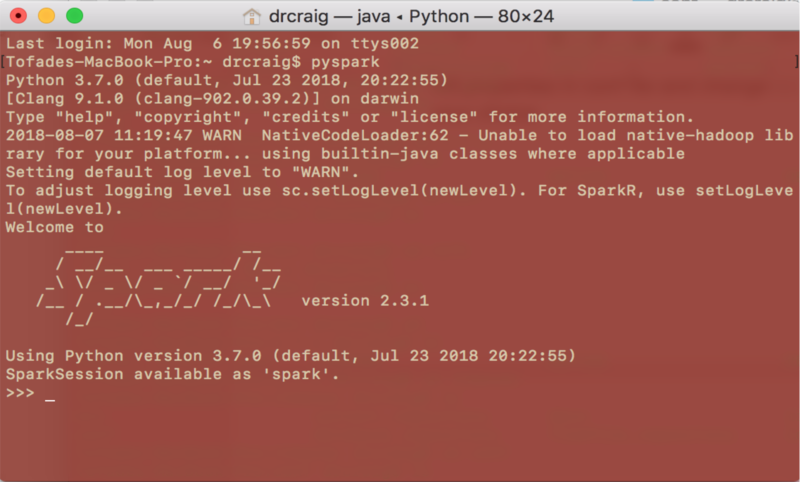 To install apache Spark, there are a few configuration to be made, I will be relying on apache spark in a standalone mode– please note that running Apache spark or any cluster application in stand-alone mode is a single point of failure, but as a POC, we’re going to keep it simple. Another break, you deserve it. It’s all worth it at the end. Python Script below will send data to spark-cluster as a Job for analytics and sentiment analysis on the received tweets. 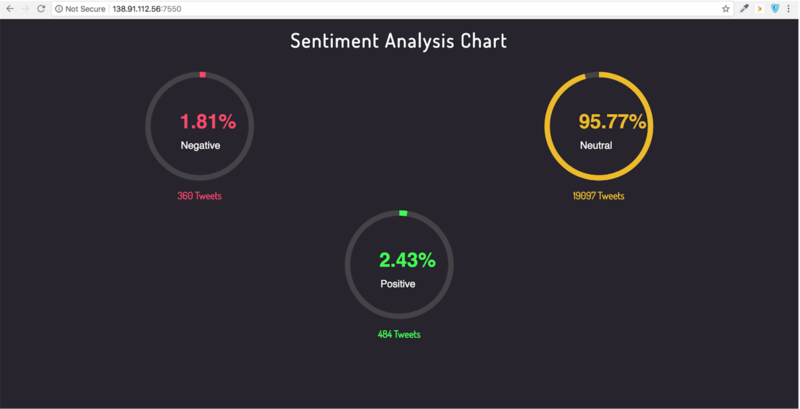 Do some spark analytics and then apply some machine learning to get the sentiments analysis. I used a pre-trained model from NLTK Vader SentimentIntensityAnalyser (will be adding more machine learning algorithms in future). You may have to install some python modules. Spark downloads the required packages you specified and then sends the job to the master url specified along with the name of the python Script. The python script receives two arguments, “kafka bootstrap server” and “topic name”. 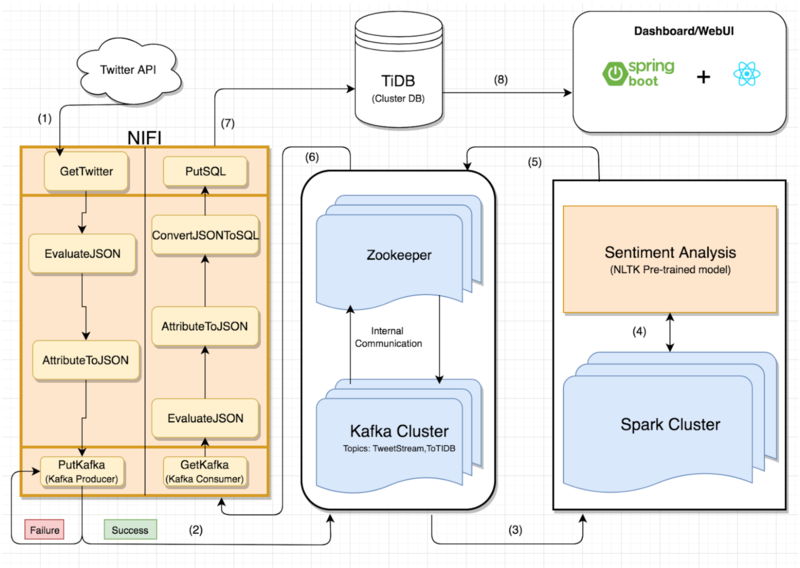 The above command starts the spark structured streaming API, waiting for data ingestion from NIFI under the topic we specified. 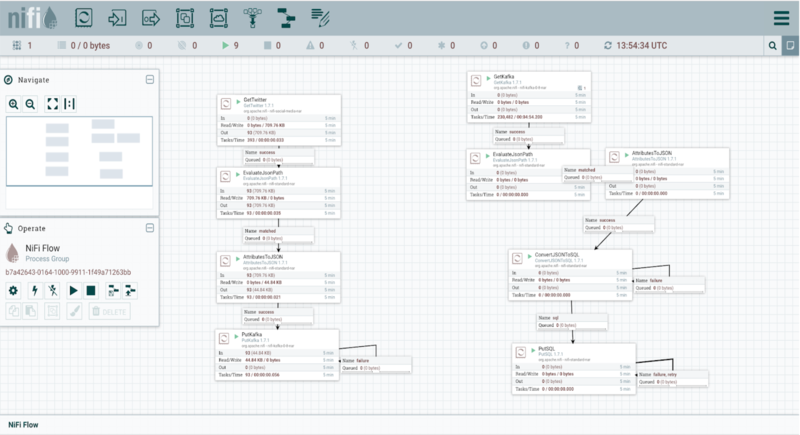 You also need to start all the NIFI processors to run the complete pipeline, to do this.. Go to your browser on the NIFI page, right-click on the grid and click start to initiate the data ingestion from twitter. Wheew, you made it. Last step. I used Spring boot and react for my data visualization, and here is a sample of how it looks when the page is pulling near real time sentiments from the database. There were lots of challenges in trying to fuse these technologies, setting up a server to host them on Azure. The entire process was an eye opener, understanding series of ways in which big data tools can be implemented and used to solve real world problems and aid decision making. Don’t worry, there’s more to come. I will be spending more time with other big data and machine learning tools. The challenges are tasking but the joy is in getting them done and seeing the result. Want to learn more about ParallelScore and how we use data, feel free to send us a message at hi@parallelscore.com, subject line: We Love Data.